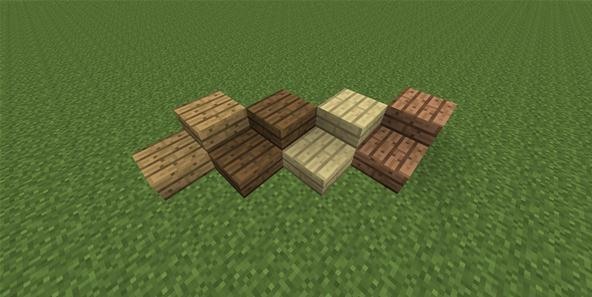 Looks like Minecraft is getting some cool new features, including editable books and colorful wooden half slabs. Check out the video below to see the newest Minecraft Snapshot 12w17a in action. Warning: This release is for experienced users only! It may corrupt your world or mess up things badly otherwise. Only download and use this if you know what to do with a minecraft.jar file! If you find any bugs, submit them to the wiki's bug list! Download today's snapshot here; server here: jar, exe. I can't wait for the next update!!! All of the latest snapshots have amazing additions to them! THIS IS TOTALLY AWESOME!!!!! I want to be able to write a story about Minecraft, IN MINECRAFT!!! When I first read about it, I thought it said "edible books"! I can't wait to not fly slow in water! Oh man, FINALLY. I mean FINALLY. Those books would be helpful for map makers. Instead of a wall of signs or "read note one in the download folder" Just open the book!